Introducing the New 2018 Winter Collection from Wilhelm Schweizer. 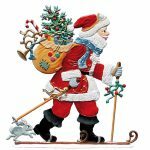 The New Christmas Collection from Wilhelm Schweizer includes a new Santa who is Hitting the Slopes, an Angel who is busy telling a story to her friends, a Woodland Christmas Tree, and three new ornaments, one of which is dated. Ahh, Christmas. Don’t we love it? It doesn’t matter who you are, there has to be at least one thing, if not everything, about Christmas that you love. And one of those things has to be the Wilhelm Schweizer Christmas Collection of Hand Cast, Hand Painted Pewter from Germany. When we sit down to think about the Christmas Season our stream of consciousness overflows with so many thoughts: Special time with family and friends, the rich aromas of home baked cookies and homemade candy, finding the almost perfect Christmas Tree, savoring a special family holiday food, hanging the mistletoe, “stockings hung by the chimney with care”, wrapping and exchanging gifts, the crunch of new fallen snow underfoot, marshmallows floating in a cup of hot chocolate, attending a beautiful midnight Christmas Eve service, hanging a special ornament on the Christmas Tree, sleigh rides through the snow, a child’s first Christmas, movies like “White Christmas” and “How the Grinch Stole Christmas”, carols, candy canes, roasted chestnuts, just being cozy with your loved ones around the fireplace – the list goes on ……. The Wilhelm Schweizer Christmas Collection from Jordanwood provides a physical representation of so many of these thoughts and memories. 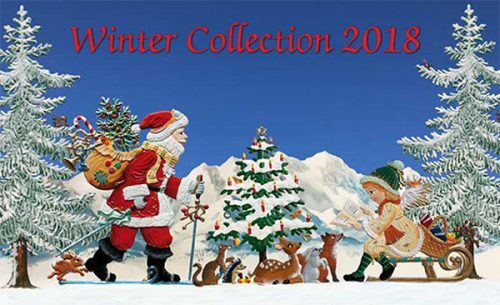 Whether we call him Father Christmas, Santa, or St. Nick, the Santa Collection from our Wilhelm Schweizer Christmas Collection offers 36 different Santas, from Santa Climbing Down the Chimney to Santa in His Sleigh. And each year a new Santa is added to the Wilhelm Schweizer Santa Collection. How can one think about Christmas without thinking about Angels? 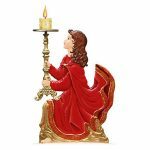 There are Angels Feeding Birds, Angels Making Christmas Deliveries, even Angels Pulling Sleds in this Angel Collection of 38 different pieces. And each year a new Angel is added to the Wilhelm Schweizer Angel Collection. The Christmas Ornament Collection offers more than 150 different Ornaments: Snowmen, Nutcrackers and Rocking Horses, just to name a few. 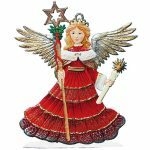 In our extensive Wilhelm Schweizer Christmas Ornament Collection you are sure to find a keepsake ornament for your tree. And each year more new Ornaments are added to the Wilhelm Schweizer Christmas Ornament Collection. Nativities and other Religious Collection Pewter Pieces from Wilhelm Schweizer make a stunning statement, year after year, as a center piece for your Christmas Decor. How can there be a Christmas without a Christmas Tree? 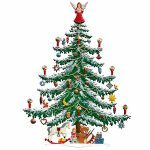 The Christmas Tree Collection offers a beautifully decorated tree to grace your table, mantle or serve as backdrop for your other Wilhelm Schweizer Christmas Collectibles. 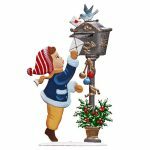 If you are looking for more whimsical Christmas decorations/characters you will want to look at our Christmas Motif Collection. 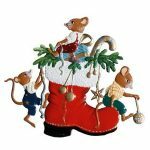 Mice Decorating a Christmas Tree, Young Man Sending a Letter to Santa and Christmas with the Dogs are but a small representation of the items available. And each year a new Christmas Motif piece is added to the collection. Note: Each year, carefully selected individual pieces are added to the Wilhelm Schweizer Christmas Collection. And although this site shows painted pieces, many of the same pieces are available unpainted. Contact us for availability and prices.